Memorial Day weekend marks the unofficial start of summer. And what does that mean to me? The start of triathlon season! I’ve completed four triathlons in total: three Sprint distances one Olympic distance. This year, I’m planning to add one more in each category – starting with a sprint next Saturday, June 6! Rewind to the summer of 2012, my first year with the sport. I chose a Sprint that took place in late July, so as to give me enough time to properly train for the .45 mi swim, 19 mile bike, and 3.1 mi swim. The second year, I stuck with the same schedule as I was still getting comfortable with the sport. But after crossing the finish line, I knew it was time to take things to the next level: Olympic! Fast forward to summer 2014. You may recall that I started things off a bit earlier with a late June sprint that I participated in as part of my company’s corporate challenge team. 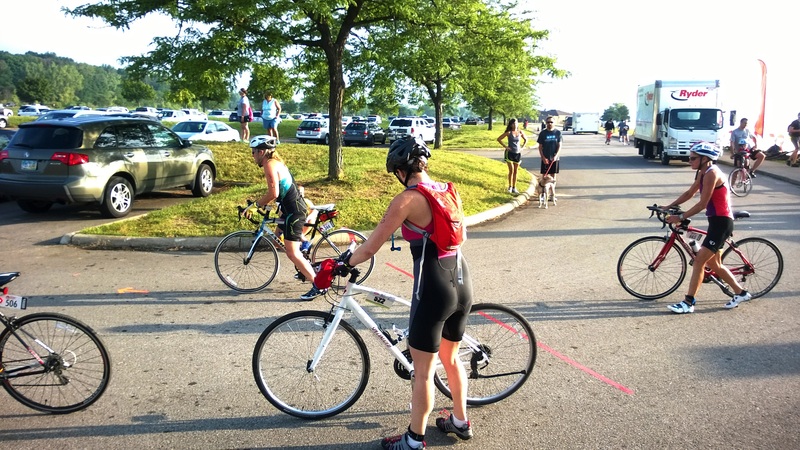 The race was my shortest to date – also a sprint, but the bike distance was a more traditional 12 mi instead of the 19 of my previous sprint triathlons (an atypical sprint distance). 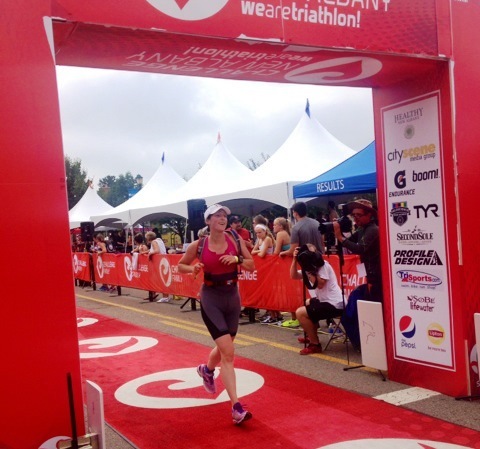 I felt great during the sprint and was more excited than ever to take on my first Olympic distance. At the time, I was surprised at how challenging the race was, especially the run. Every. Single. Step. Hurt. In my previous Sprint triathlons, the run always came easy to me – I attacked it, even setting a personal record in the 5K one year (which I’ve since beat in a race with Ashley!). I assumed the same would happen with the Olympic – once I got through the swim and bike (notoriously my most difficult event), I would be fine. But I couldn’t have been more wrong. Looking back, I now understand it was because I failed to do one very important thing: train. Yep – you read that right. I didn’t really train for my Olympic triathlon. I know that sounds like a “humble brag”, but it’s true – I didn’t follow a formal training program. Most of you know that I am a pretty active person. I regularly swim, bike, and run for exercise, so I just assumed that if I did a little more of each activity, that would be enough “training” for the race. That strategy works for me for sprint triathlons – in fact, I don’t really need to change anything in my exercise habits to prep for sprints. But for Olympics, not so much. I regularly swim 1.5 times Olympic race distance, so that’s not the problem. But one or two “long” bike rides (read: race distance, 25 miles) and one “long” run (read: race distance, 6 miles) just isn’t going to cut it. I need to do more. Enter the training plan. 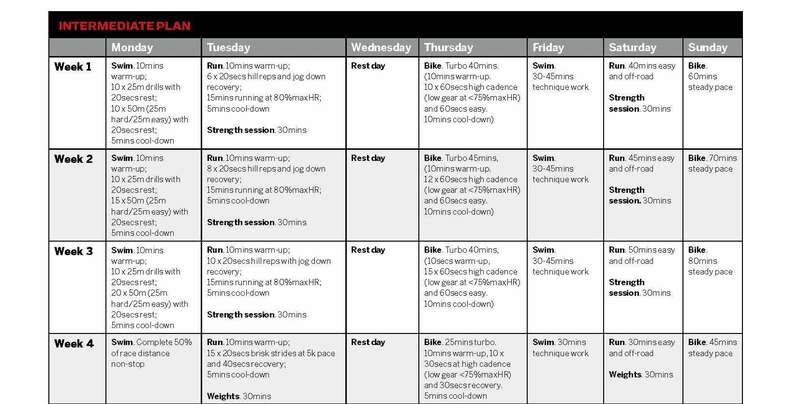 Unlike running training plans, that basically all look the same – run, do a long run, run some more, etc., triathlon training plans vary greatly. All plans have you swimming, biking, and running (duh), but that’s about all they have in common. Some plans are balanced, swimming, biking, and running each twice a week. Some plans focus on your weak sport (ie, biking more than swimming and running). Some have you doing one exercise per day, while others contain “brick” workouts – doing two exercises back to back, like swimming followed by biking. Needless to say, it’s difficult to figure out where to begin when deciding on a training plan. Which brings me to where I am today – still without a training plan! Old habits die hard? Despite knowing that a training plan is what I need to be fully prepared for my Olympic triathlon on July 26, I don’t want to follow one. Whereas most people love training plans, I just don’t. Perhaps because I don’t want to give that much time to the same three activities. Yes, I enjoy swimming, biking, and running, but I also enjoy teaching spinning (which does not substitute for outdoor cycling! ), lifting weights, and practicing yoga. And perhaps I don’t want to be told that I have to swim on Monday and bike on Tuesday – I enjoy flexibility. I know it’s only for a few months, but I just don’t want to fully commit to a tri training plan. But that doesn’t mean I’m going to make the same mistakes as last year. On the contrary, I’m going to make a concerted effort to actually bike and run longer and more often. One thing that almost all of the training plans have in common is the concept that you need to swim, bike, and run further than you do in the actual race, so that when you combine all three on race day, you have the endurance you need to push through. That makes sense to me. So instead of just biking the distance of the race once or twice as I did last summer, this summer, I’m actually going to go further (maybe 35 miles?) at least twice. 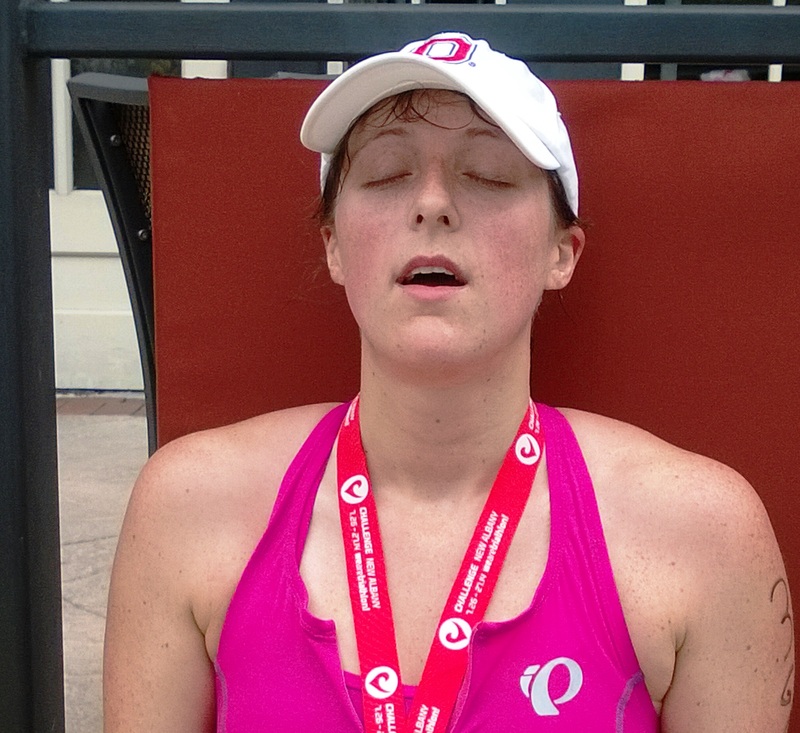 And as far as the run goes – I refuse to feel as awful as I did during the run last year. So instead of running the race distance just once (as I did last year), I will run it once – and then run 7, and then 8. And maybe I’ll even do a brick workout or two! Oh, and remember how I peed my pants during my Olympic triathlon last year? Well, not to worry, that won’t happen again, because I bought this super cute (and $$$) two-piece tri suit – shorts for the win! The back is even cuter. 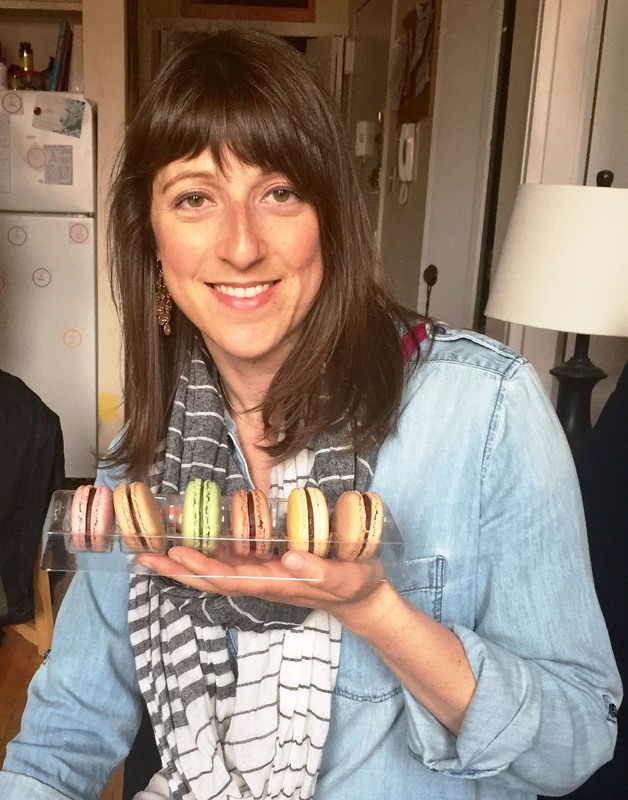 So, tell me – training plans: yay or nay? Do you use them? How closely do you follow them? 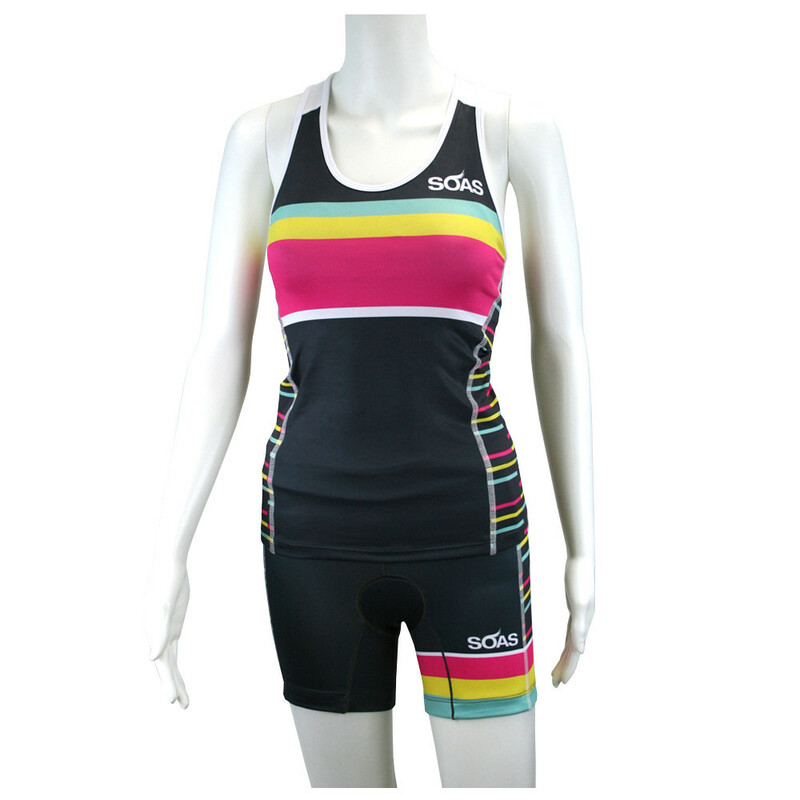 What a cute tri outfit! I’d think the bricks would be super important. It’s not too difficult for a fit person to do one thing (a run, a bike, etc) but to do one and then another right after is different!